Let's face it; the act of travel has become stressful. We go on vacation to get away from the pressures at work and at home, but navigating through the airport and getting on your flight can be the most stressful part of your trip! 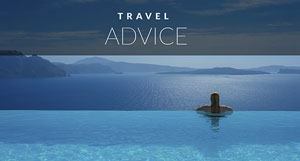 So, we've compiled a list of stress free travel tips to help you have a happy vacation from start to finish. You don't want anxiety to build before you've even left the airport, so we have some tips to help you travel stress free and enjoy your vacation from the minute you drive up to the terminal. Gone are the days when you can show up an hour before your flight. Give yourself plenty of time to account for any unforeseen circumstances. We've seen people standing at the parking lot waiting for a shuttle for half an hour complaining that they’re going to miss their flight if the van doesn't come soon. That's why we always arrive three hours early regardless of where we're flying. I can't remember the last time I was worried about missing my take off. Tip: If you don't want the hassle of dealing with shuttles, take advantage of the Valet Service. When you use valet parking, you simply pull up to the terminal, drop off your keys and walk through the door to check in. Our American Express Platinum Card gives us complimentary valet service at Toronto Pearson , plus a 15% discount on parking. We get elite service without needing to rack up miles for elite benefits. We've always used to struggle with packing light, but we are slowly becoming advocates of the ‘carry-on only club for short trips’ If you can, try to pack light and travel with only a carry-on bag. Since you won't have to check your bags, you'll save plenty of time at the check-in counter. You can walk straight up to the computer, check in and be on your way through security in no time. Believe me, lugging a heavy bag anywhere can cause stress. You’ll find that you don’t need half the stuff you bring with you and you’ll feel more relaxed and happier by not having clutter with you on vacation. Less is more when it comes to packing. Plus less stuff will be easier to store on the plane. I’ve seen so many people freaking out as they try to stuff their oversized baggage in the luggage compartment overhead while I’m relaxing in my chair already starting to watch a movie. 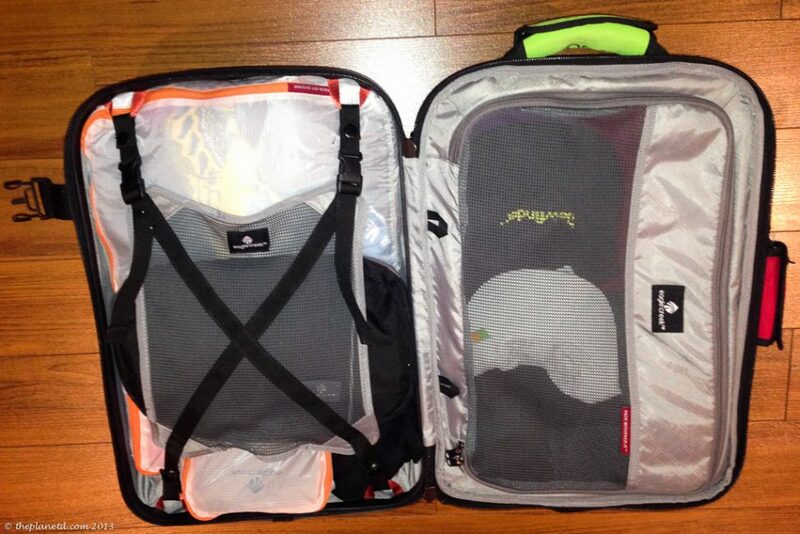 Read: the Most Complete Travel Packing List You'll Ever SEE! Checking in 24 hours in advance will save you a ton of time at the airport. We always check in online and either print out our tickets or save them onto our smartphone. That way, when we get to the airport we don't even have to go to the check-in counter. Instead, we walk straight to security. If you can't print out your ticket or don't have a smartphone, you can still check in online and then print out your boarding passes at the kiosk when you arrive. That step will still save you valuable time, as you won't have to go through the hoops of checking in. This can be a tough one as it takes a lot of frequent flyer points to gain elite status on airlines, but it's worth it. We've walked up to a jam-packed security line and skipped right to the front as other passengers looked on yearningly. But how can someone who doesn't travel a lot, get access to skipping the security lane? A lot of cards are offering status perks without the flight time. With Toronto Pearson’s Cloud 10 benefits select Cards like The American Express Platinum Card allows Cardmembers to skip to the front of the line simply by flashing that beautiful platinum plastic. It feels so good to know that you've just cut off time and cleared away stress. I can't tell you how many times I've stood in line watching people go through security in front of me, stressing out that I got in the wrong lane, the slow lane. When you are in the Pearson Priority Security Lane, it moves oh so much faster. Speaking of security be prepared when you get there. I keep all the items that need to go out onto the bin readily available. When I get to the conveyor belt, everything is out in a flash. All liquids (100ml or less) are packaged together in a small plastic bag, computers are pulled out of the front of my carryon and pockets are empty. Everything goes quick and easy into the bins and with no belts, spare change in my pockets, or metal jewelry on my person, I'm through the scanner and packing up while others are still trying to figure out what goes where. Make sure to have easy slip-on shoes as you'll have to take them off, and don't wear any hats or jackets. You've made it through check-in and security. Now it's time to relax. We do a quick scan of our gate to have an idea what direction we'll be going at boarding time and then we b-line it for the lounge. We lost our lounge access in most airports this year as we were demoted from 50k Elite to 35k Elite with Star Alliance, but we're not worried. We have our Priority Pass Card. It gives us access to Plaza Premium Lounges in 11 countries. Lounges offer an escape from the chaos of the airport while enjoying complimentary food, drink, Internet and lounge benefits like comfy chairs, big screen TVs, magazines, and newspapers. Lounges offer a reprieve from the noise in the airports and make you feel calm and relaxed before your flight. Before boarding, we put everything we'll need during the flight into a separate small bag that we keep with us in our seat. Ever since we started using a care package, our flights are far more enjoyable. With all these items within reach, we don’t have to rummage through our overhead storage. We can sit back and relax, dreaming of our vacation ahead. So the next time you go on vacation, make it pleasant from the moment you reach the airport. Travel shouldn't be stressful. Even in today's world, it can be comfortable. 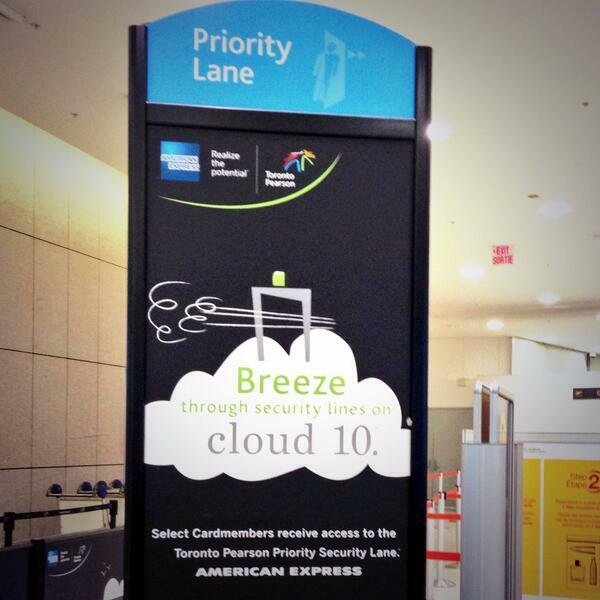 We love having Toronto Pearson as our usual departure airport because of all the Cloud 10 benefits we get from American Express. When we get to airports around the world and see that they don't offer free Wifi we can't believe it! I mean what kind of world are we living in? Luckily Toronto Pearson has free Wifi throughout the entire airport for everyone. Wifi shouldn't just be for elite members of airlines, it should be for everyone. 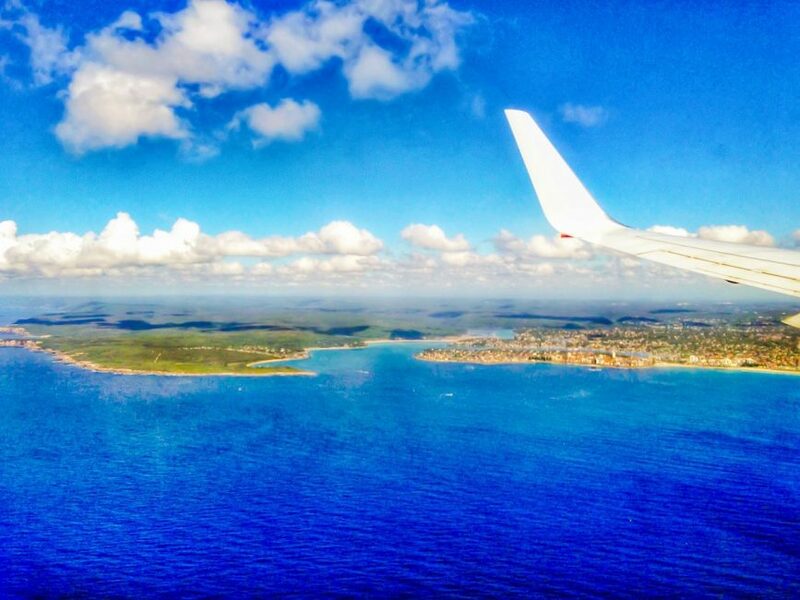 Do you have a tip for stress-free travel that you've found makes your vacation easier? We'd love to hear. 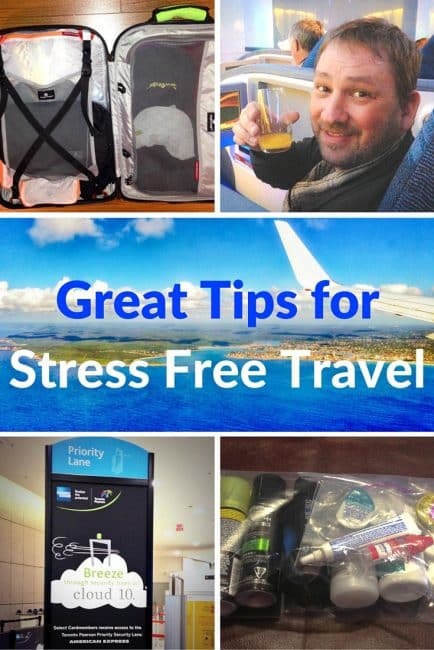 50 Responses to "Seven Tips for Stress Free Travel"
Great article and good tips! Thank you for sharing all this information with us! Love the care pkg idea. 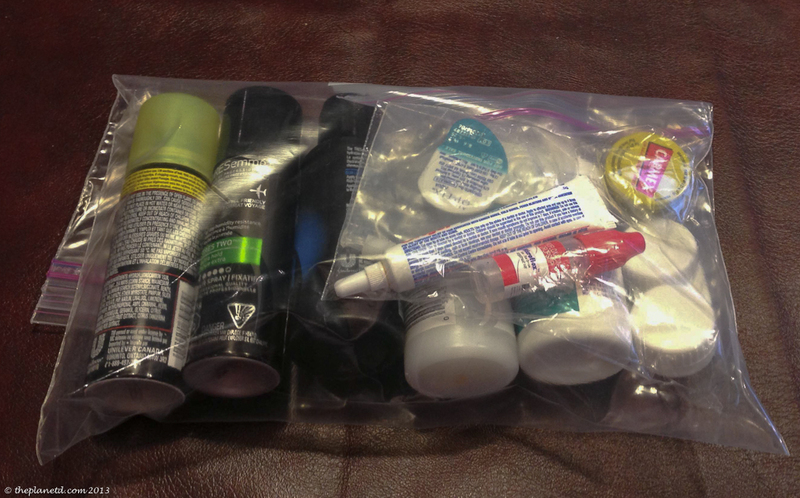 I try to keep those things in my daypack that’s under my seat, but the Ziplock idea is really good. Less rummaging around. My care pkg will definitely have snacks in it, too, though. Big fan of the carry-on only club, too, and packing well before the day before you leave. Leaving packing til the last minute was a huge stressor for us in the past. Now we do it at least two days ahead but preferably a week ahead. Great post. Enjoy your week or your weekend! Agreed, I need to have everything organized so I can completely relax during the flight. There’s nothing worse than having to go into the overhead compartment in the middle of a flight. I forgot to mention snacks. Snacks are very important. We always have a few munchies with us because whenever I wake up from a nap I tend to feel very hungry. So having something to reach for makes the experience so much more pleasant. These are some great tips! I can’t agree with the arriving early for a flight tip. That is definitely something that I try and do when I fly and I think more people should really take advantage of going just a few minutes earlier than they are used to. It’s true, we’ve seen people leave it to the last minute thinking they are being cool or showing off that they are seasoned travellers. That just shows me that they haven’t travelled enough to see what problems can arise. Go early you can always enjoy a snack or drink before you board if you have time to kill. Great tips all around! Arriving early is huge. I can’t stand when I’m rushed and worried although it still happens because I’m a bit slow in the morning:) Another great article, thanks for sharing. Great tips! You can never have too many ziplock bags. I use one too for liquids for easy TSA screening. So true! I love the airports that supply them too. I always switch out because my ziplocks are always a little weathered. Great tips! Sometimes even the simplest travel tips are worth stating because, like you said, there’s always someone who misses their flight because they didn’t give themselves enough time. And I love checking in online and traveling carry-on only whenever possible! Great addition. It’s always good to see what the restrictions, weights and sizes are online beforehand. In the day of Internet travel, there’s no reason to be stuck without knowing. Wow!! 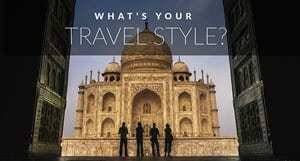 you have posted awesome about travel .I loved your post and wanna get more similar post from you. Please keep it up. Helpful tips. I just want to add one more to this list – sleep a lot before setting out for the vacation. People usually get into last minute shopping or running errands a day before the journey. If you make it a point to keep everything ready a day in advance and not do ANYTHING on the day of journey, things can be a lot smoother. Article was good, but as soon as you said iPhone/iPad you lost me! Who would ever want to carry those items traveling us beyond me, you will always be searching for a plugin to charge up! I know I was when I first started traveling, so I changed my phone and haven’t looked back! I use a phone with an interchangeable battery and always carry a couple spares with me, when my battery runs out I just pop in another and I’m good for another 12 hours, and for the tablet… Don’t bring one, they are just extra weight, instead get you a phablet! Anyhow hope these suggestions make your life easier! I know that they did for me! Yep, it’s so nice to be able to relax when flying. I hate standing up in the aisle disturbing everyone. I’m really sorry, but you have really just stated the most obvious tips for traveling. I travel 90-100 flights a year, so traveling is second nature to me. Three of your seven points are what airlines asks people to do. Most of which 80% of travelers do not, thus creating a stressful travel experience. Three of your other seven points have to do with having the Platinum card. 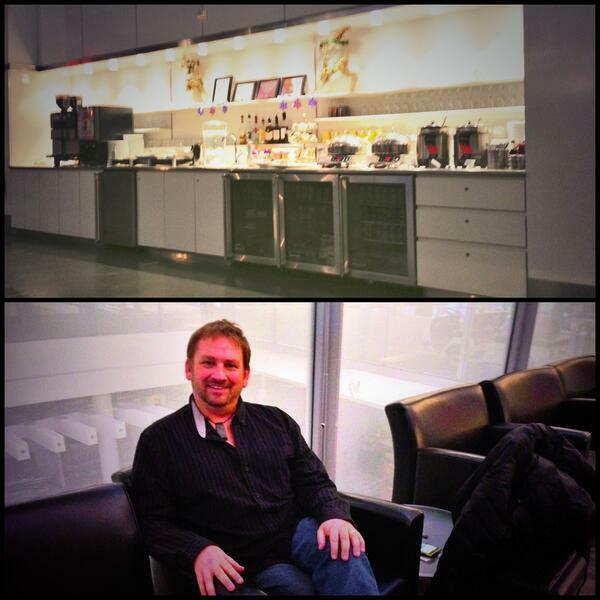 You post to use your AMEX platinum in YYZ to skip the line for security, go into the plaza premium lounge and enjoy. First off, not many people can afford that card. The annual fee is $700 CAD a year, and the annual income to even qualify to get that card is $60,000 CAD or $100,000 CAD household income. That’s above the median income of $45,000-$50,000 CAD in Canada. 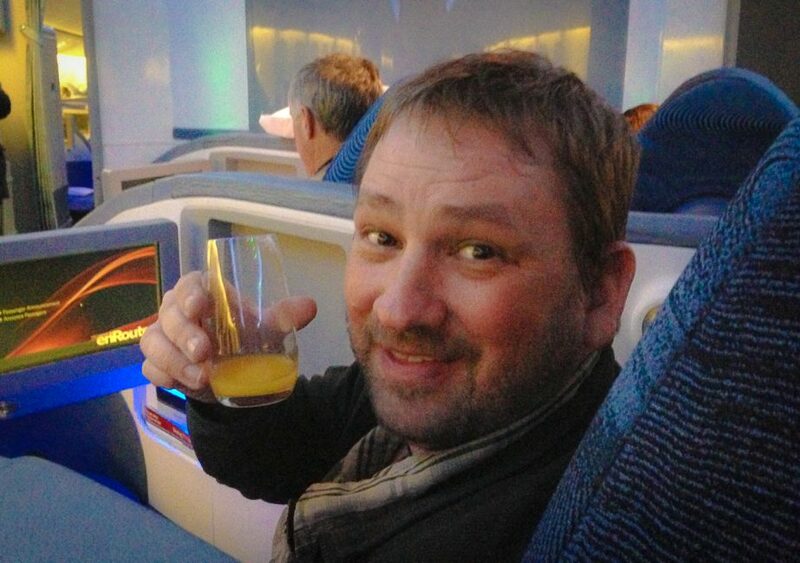 Also, your last picture of you in the plane is in “Business Class” in Air Canada. You get those privileges of skipping through the line by buying business class tickets. Why don’t you just suggest people to buy business class tickets and it will be all in all a stress free environment since they can check in their bags in the priority line, skip through security in the priority line, and also board the plane first? Hi Victor, Good for you traveling 90-100 flights per year. You clearly don’t need any advice. For those who don’t travel as often (90-100 flights, wow! That’s 180 days a year of flying if it’s round trips!) well, they need more help. It’s taken us a while to get our travels right on the plane. We never used to check in online until recently, we see people arriving late all the time and taking it for granted they’ll make it through security and so many people having their liquids taken from them in line. Surely you’ve seen people in security having their toothpaste, bottles of water and shampoo taken away from them if you travel as often as you say. Cheers! Also, business class tickets cost thousands of dollars. It’s being able to invest a few hundred for perks and still travel in style. We found that our annual fee is paid for easily on our AMEX with all the perks. We get free travel/medical insurance. Saving us a cost of minimum $100 per trip. If you fly 90-100 flights per year, that would surely save you a lot on insurance. 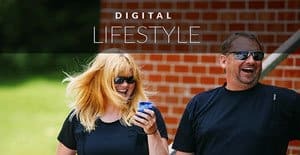 We also get a $200 yearly travel perk to use on whatever travels we like. 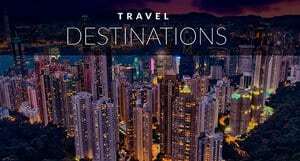 Hotels, flights, car rentals. Every purchase we make goes towards points for travel that we can redeem whenever however we like and we get instant upgrades to hotel rewards saving us $20 a pop on internet for our hotel stays. For people who travel a lot, this card is amazing. We wouldn’t endorse or use it otherwise. Usually when I have a short vacation, I do online check-in but it’s only good for a passenger that doesn’t have to check-in their baggage. For me it’s a stress free and also I prepared on my bag the ear phone, face mask and my sunnies. Ah, but it is good for those who check their baggage. You’ll notice that there is always a shorter line stating “Bag Drop only” If we have bags, we still check in online and skip the checkin counters going directly to bag drop. Each airport is different, but this is often the case. A nice list, simple and to the point. I’ve retweeted them to my followers and will be utilising them in the next few weeks on-route to Hawaii. Thanks guys! That’s the best list in our opinion. Simple and to the point is all we need. Cheers ! These are great tips! I think I might need to start the “care kit” idea, so I don’t always end up as that girl trying to fit her entire carry-on under the seat! Nice post! Thank you for this useful information. Definitely, I’ll take advantage of those tips during my next travel. Glad we could give you a new idea Chanel. Hi, I had already applied two or three tips like I always use to arrive early at the destination wherever I have to go & one more I always avoid skip the security lane because It will take too much time and sometimes I also have to be argued with security man. Finally, I would say this is fantastic tips for all wandering traveler as well as beginner. Thanks Seema, ha! We haven’t had to argue with the security man. I think that you are probably packing too much if they say something. It’s less stress to carry less so I suggest you scale down on your packing or go to a checked bag. Carrying a ton of stuff through the airport and on the plane is stressful unto itself. Great tips guys. My tip would be try to exercise or at least have a good stretch the day of or night before flying. Especially for long haul flights. You will feel much more relaxed sitting in the cramped plane seat if you do this. Great tip! Exercise is always a great way to relieve stress, make you more comfortable and give you more energy. A good addition to the list. Can really connect to the security check and luggage screening part. The lines can be very stressful especially if the people in front of you are fumbling and putting things together to go through the scanner. Is there any tip to sleep well during the long flights? Sorry, I don’t understand the question…”Can really connect to the security check and luggage screening part.” As far as sleeping during long flights, bring a neck rest, there are some great ones out there, use ear plugs and eye masks and bring a scarf or sweater to keep you warm. Relax your mind and don’t drink any alcohol or caffeine before your flight. Cheer and good luck! I know! Whenever we have a short connection I’m always really stressed. We’ve run through many an airport in our day due to circumstances beyond our control to catch a connecting flight and I am so panicked that it takes quite a while to relax once I’m on the plane. Whenever I can avoid rushing I do! I’d never considered a ‘care package’ as such but what a super idea. I’ll definitely be packing a face mask & tiger balm in my carry on next time. Brilliant! Great additions Anna. I like using a scarf or sweater myself too. I never know how often they wash the airplane blankets so I only use them for my legs. I hate having germs around my face:) I tried compression socks once but found them to be very uncomfortable. I guess it goes to show how much my legs swell though and proves that I probably really need them. Maybe I’ll give them another go. Glad we could help! Make sure to pack a warm sweater or shawl/scarf for on the flight too. It’s a must and I left that very important point out. Have a great trip! Emirates is awesome. You are going to love that airline.